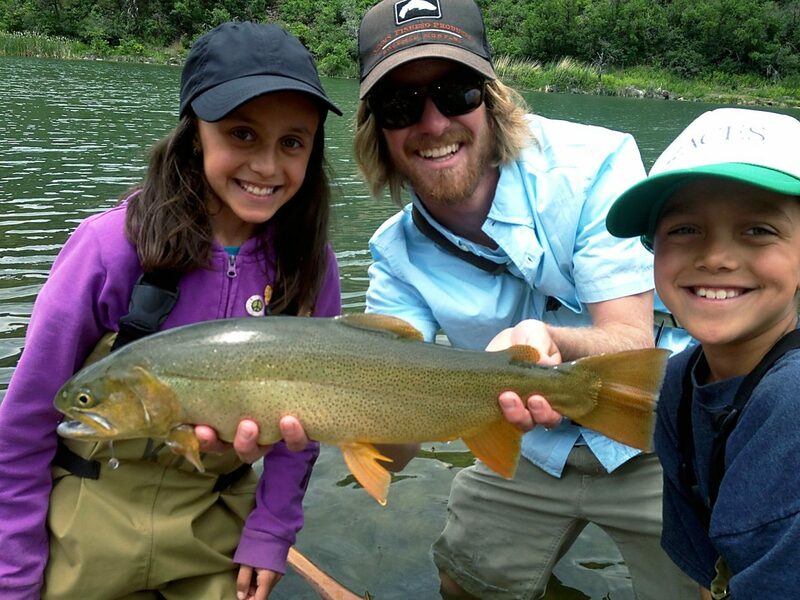 Taylor Creek guide Christian Hill poses with with some excited young clients after this monster trout was landed. Fishing guides up and down the valley are going nuts. 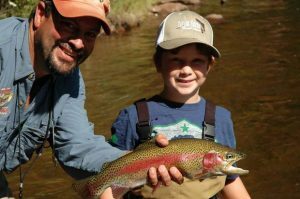 The Roaring Fork River is getting into “floatable shape,” and the summer fishing season is under way. The river peaked a few weeks ago now, and, although it is still high in volume, it is significantly clearing and lowering. 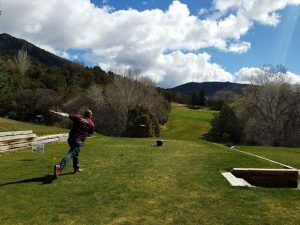 We may have a few twitchy days in the next week when it gets hot, but everyone is back in business. Before you know it, fishermen will be breaking out their head lamps, dry shake floatant and big H and L variants to get after fish feeding on twilight green drakes and caddis. So much is changing and improving on our rivers, it is hard to sleep at night. As most of you know, the Roaring Fork drake hatch gets going just as the sun is setting through the month of July. This can be “Zen” fishing at its finest, because the trout just keep on rising, even in the dark. 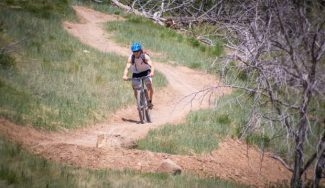 Besides the Roaring Fork getting back into shape, the Crystal River is clearing, and high country lakes and smaller feeder creeks are now also on the menu. 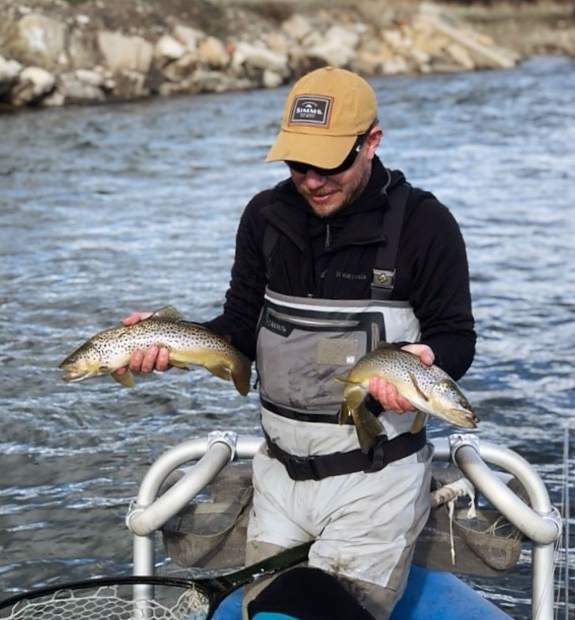 The Colorado River will probably be “brown town” for a while longer, but there is good fishing happening along the softer edges and side channels where fish can take a break from the current. Currently, caddis is the name of the game on the Colorado, but drakes, pale morning duns, stoneflies and yellow sallies (smaller stoneflies) are on the horizon. 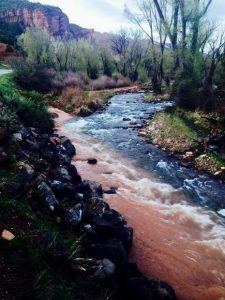 The crown jewel of the Roaring Fork Valley, the Fryingpan River, had high water last week that has now dropped to a comfortable summer flow of 241 cubic feet per second. Blue-winged olives, caddis and midges are the hatch right now, and pale morning duns will be on the scene in no time. Green drake nymphs are prolific in this tailwater, and the San Juan worm seems to be the favorite morsel of these usually finicky trout after the spike in flows last week. The time for screwing around is over, folks. Get those leaky waders fixed and give your favorite guide a call.